One of the sponsors for the WVNU Century Farm event was Awesome Real Estate, located on State Route 22 in Fayette County. Pictured are Colleen Roundhouse, owner, and her son, Joseph, also an agent. WVNU staff from left to right: Joanna Mahan (WVNU account executive), Elaine Hays (co-owner of WVNU), Kathy Patterson (WVNU account executive) and Lisa Cannon (WVNU account executive). The Frank Hedges Farm owners are, left to right: Susan Kirk, Joan Gale, Frank and Betty Hodges, and Jackson Hedges. 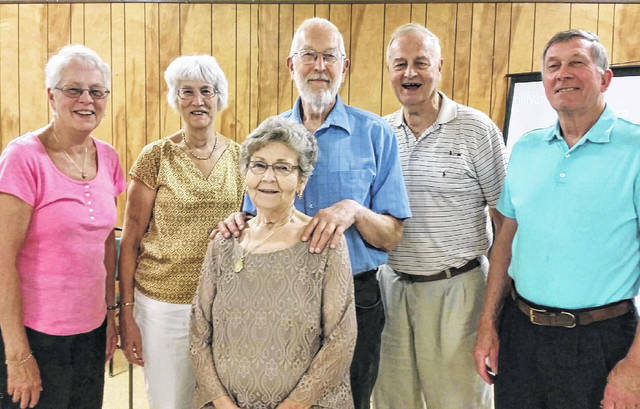 WVNU Radio recently held a dinner at the Senior Citizen Center in Hillsboro to celebrate those families who own “century farms” within a six-county area. A century farm — recognized by the Ohio Department of Agriculture — is a farm owned by the same family for 100 years or more. This was the sixth year for this celebration and it has grown larger each year. The counties involved this year were Fayette, Pickaway, Ross, Madison, Highland and Clinton. Plans are being discussed to add another county next year. The main speaker for the evening was Highland County Commissioner Gary Abernathy, who grew up on a farm. He said he enjoys talking with farming groups. “You don’t get very far into the story when the heads start nodding. That’s because only another farm family can understand what you are talking about,” he said. Abernathy discussed how hard the work can be, but work ethics were instilled by the generations that came before. And, along with those lessons came an appreciation of and for the land. “It’s getting harder to hold family farms together. Can we keep this program going or will we lose it? As long as farms like those represented here tonight exist, there is hope for family farms,” he said. There are 75,861 farms in Ohio, according to the Ohio Department of Agriculture. Of that number, 1,500 are historic family farms. There are at least two century farms in each of the 88 counties in Ohio. Fayette County has 15 registered century farms. Three of those families attended the celebration dinner. They were the Norma Hill Century Farm, the Eugene Grim Century Farm, and the Engles Family Century Farm. Fayette County also has a bicentennial farm — a farm owned by the same family for 150 years. The farm, owned by the eighth generation of Hedges, is still a working farm and is located in Paint Township on State Route 38 near Bloomingburg. To become a certified century farm go to the Ohio Department of Agriculture website and type in Ohio Century Farms. It is a lengthy process, but, obviously well worth the effort. https://www.recordherald.com/wp-content/uploads/sites/27/2018/09/web1_8BEBAB62-C16B-41D2-8C99-86CB08F9A0C9.jpegOne of the sponsors for the WVNU Century Farm event was Awesome Real Estate, located on State Route 22 in Fayette County. 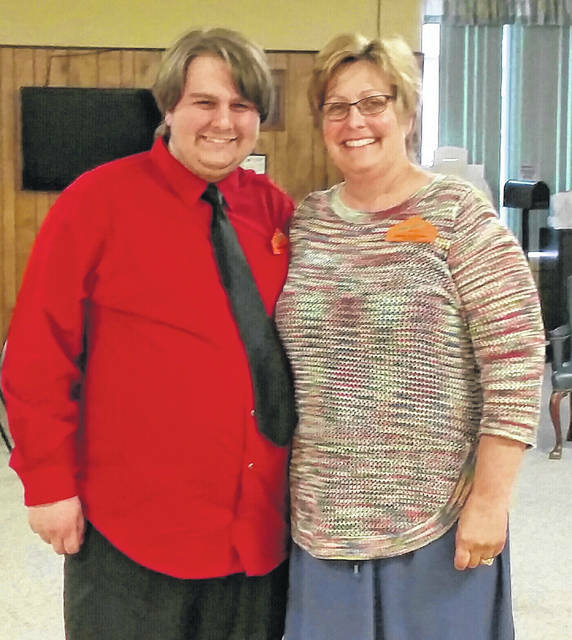 Pictured are Colleen Roundhouse, owner, and her son, Joseph, also an agent. 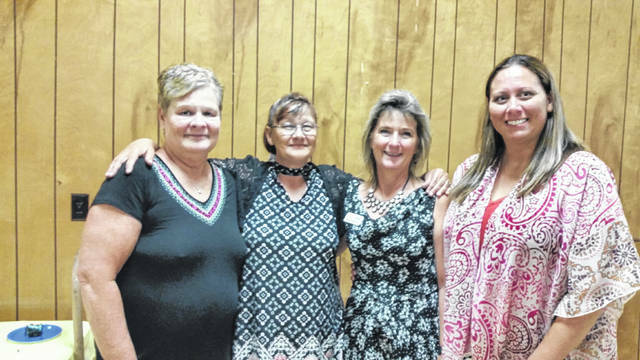 https://www.recordherald.com/wp-content/uploads/sites/27/2018/09/web1_8E643602-0A77-4B0A-BB40-1030B0AC582E.jpegWVNU staff from left to right: Joanna Mahan (WVNU account executive), Elaine Hays (co-owner of WVNU), Kathy Patterson (WVNU account executive) and Lisa Cannon (WVNU account executive). https://www.recordherald.com/wp-content/uploads/sites/27/2018/09/web1_16462625-63D2-4279-9893-2DDA2822597D.jpegThe Frank Hedges Farm owners are, left to right: Susan Kirk, Joan Gale, Frank and Betty Hodges, and Jackson Hedges.